Following on from the work I produced for the pop-up. I want to delve a little deeper into what it means to be a social creature on the internet. The work ‘Empires4Egos’ was an unexpected outcome of looking into the prospects of Virtual Space, (by quite literally making it) and the narcissism of online identities. This isn’t so much to say that I think I’m being egotistical by creating an online gallery with my own work…, but instead reflecting the assumed egotism each social media user takes when creating their profiles. Through creating this page, we give access to others on how we look at our own lives. It’s very rare that users regularly post about the bad times in their life, and subsequently, what is posted, is the manipulated and curated version you wish others to see…. or at least to some effect. As with anything, there’s a spectrum and I’m certainly not saying that all Social Media users think this way. In fact, its mostly the minority extremists or even those who’ve found ways of making money through it who use it in this way. As with anything, you can use to a point of abuse.. Similar to any addiction, the addiction of posting about yourself is a narcissistic thing to do…. unless it actively benefits others. THIS post is really just to acknowledge the complex use of social media. 10 years ago I didn’t think I’d still be using Facebook, and I definitely didn’t think that it would be a necessary tool for me to engage with many of my piers…. but that’s what it is…. I’ve written in the past about Timehop and how it allows you to see what you did on a specific day 5 years / 3 years etc ago. This ability to look back with computerised certainty at your actions on the web and in reality make the idea of a diary very primitive. Facebook actively ask you if you want to see what you did years ago.. and in some cases its great… but personally I find that I click it simply because its just so weird, and I don’t keep a diary. Its a great strategy to poke you into getting in touch with old friends, and I can imagine it really does work… but its odd. Perhaps not as weird as the videos Facebook automatically creates with photos of you and your friends…. I’m comforted in the fact that its an algorithm and not a person going through these photos deciding the right pictures etc. It would bring a new definition of Facebook stalking if it was one of their employees. Recently Essena O’Neill, a prominent Australian Instagram model has spoken out against the fake life she portrays online to satisfy the wants and needs of her fans (as well as her lifestyle and living). FINALLY!! someone earning thousands from pictures of themselves is admitting that theres no difference between social media as a platform similar to how glitzy magazines have portrayed models over the last 30 years. The only real difference is that the model has become the photographer, editor and publisher AND the photos they share show them doing “normal” things on just a “normal” morning…. (But thank you Essena, we finally all know that thats just not the truth, and its all a setup to feed the fans). Well… it appears that the Facebook owned company have gone another step further in their virtual reality dream, and have created a device that allows the user to touch things within the virtual environment…. 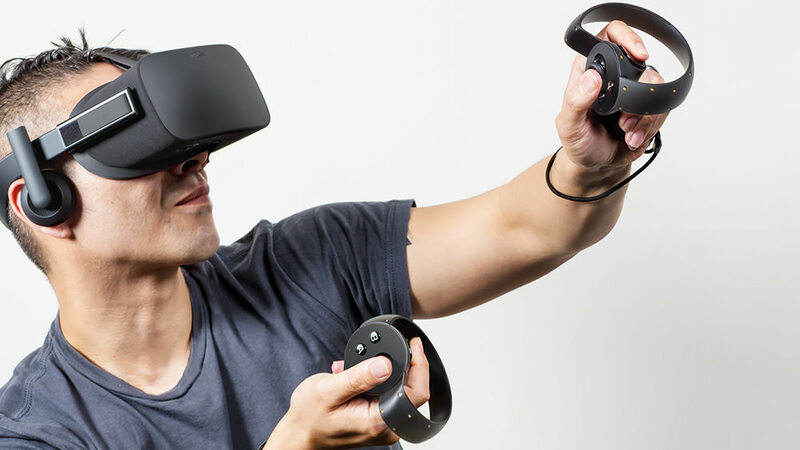 Oculus Touch has two controllers, one in each hand, and vibrations move through the hand, simulating this virtual sense. What are the possibilities of this on virtual artwork? Unlike galleries today where the work is cornered off with motion sensors and the beady eyes of invigilators, could this bring a new element to art and the audience’s experience? To be honest, it looks like a PS4 controller has been sliced in half, and been given a halo but its probably one of the more revolutionary designs for console controllers since the Nintendo Wii, or lack of controller, Xbox Kinect. Then again, these things should be judged on their application and ability, not their looks and purpose alone. We’ll have to wait and see…. but in the meantime, the dream is exciting. 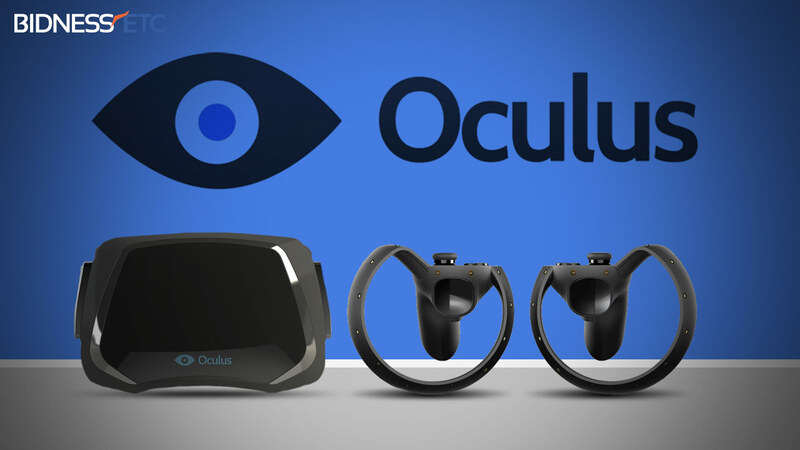 It’s pretty clear that Oculus Rift is getting closer and closer to being a viable commercial product with a lot of possibility, then again, so are many of its competitors. I still haven’t tried one!!! which is frustrating more each day… as I’d love to get my hands on the developers kit. My nerdy, techy side needs to be indulged.